Multicolor crew neck striped cotton t-shirt PAUL SMITH, oversized gingham silk shorts KOLOR. Black wool and satin coat and technical jersey turtleneck PRADA, white velvet tights WOLFORD. Oversized white popeline shirt “Patti Smith, 1974” and Mapplethorpe photography printed raw linen top RAF SIMONS. Double breasted checkered coat and yellow popeline cotton shirt BALENCIAGA, blue satin tights WOLFORD. 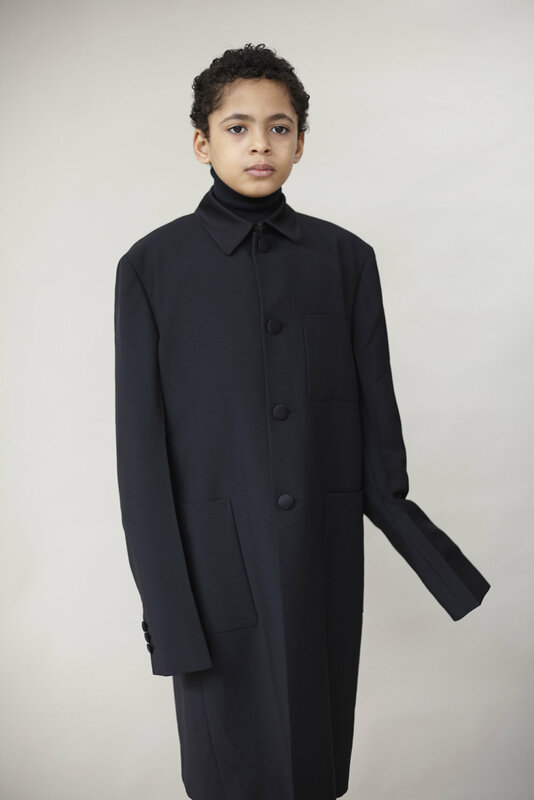 Pinstriped wool double breasted jacket ANDREAS KRONTHALER FOR VIVIENNE WESTWOOD, black technical jersey turtleneck PRADA. 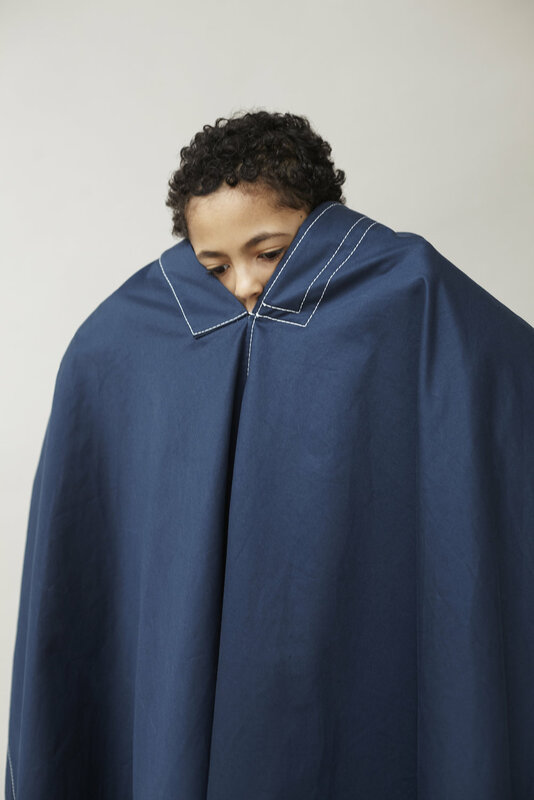 White stitching blue cotton cape ACNE.